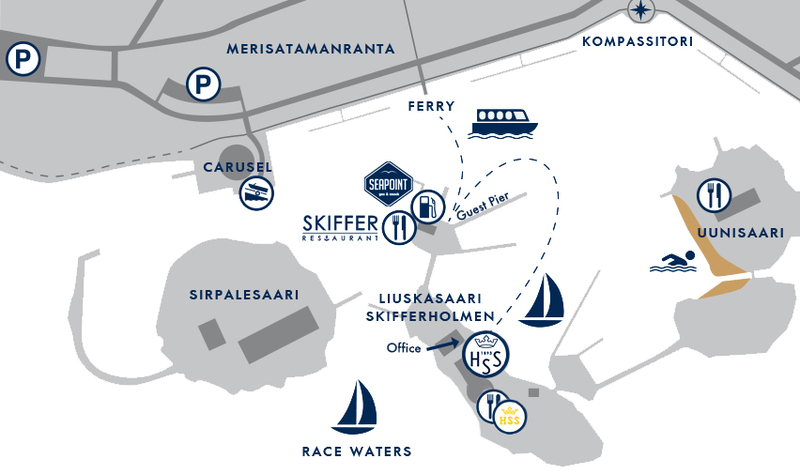 Downtown Sailing Week – Helsingfors Segelsällskap r.f. 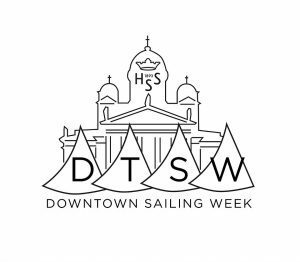 Welcome to 11th Downtown Sailing Week! Helsingfors Segelsällskap (HSS) organizes for the 11th time Downtown Sailing week which brings together almost 100 dinghies in Liuskasaari, Helsinki. The largest annual Baltic Sea junior sailing event consists of a training clinic during the week and a two-day regatta from Saturday to Sunday in early June. HSS Downtown Sailing Week 2019 participants are coached by established junior coaches in different classes. Suomen Purjehdus ja Veneily (SPV) and different junior class associations in Finland join forces in providing top training in a magnificent setting right in the center of Helsinki. During the latter part of the week young sailors compete in a two-day regatta. The participants are the top competitors in each dinghy class amongst whom are also the future Finland Olympic athletes. Clinic days will be from 10.00 am to 03.00 pm. Lunch at 03.00 pm. More info of clinic here. 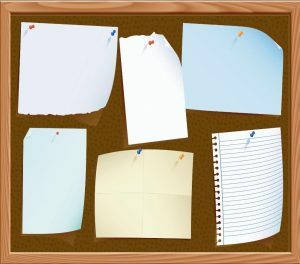 You can find regatta schedule from notice board. Logistic schedule between the island and main land you can find here. Thursday 7th June 12-20, HSS ferry driver (050 576 05 65) ONLY WHEN NEEDED! CALL 15min BEFORE! Friday 8th June 12-20, HSS ferry driver (050 576 05 65) ONLY WHEN NEEDED! CALL 15min BEFORE! Training clinic will be organized for Optimist Kadett, Optimist Ranking, Zoom8, Techno293, Laser (std, radial, 4.7) and 29er classes. Finnish boating and sailing federation (SPV) organizes Laser and 29er clinics. HSS organizes Optimist, Zoom8 and Techno293 clinics. Laser clinic is organized together with HSK and TaPS sailing clubs. 29er clinic is organized together with HSK and BS sailing clubs. If you would like to join with own club coach, kindly contact HSS Manager Coaching and Sail Training Rosa Lindqvist at sailingschool@helsinkisailing.com or SPV Coaching Manager Vili Kaijansinkko at vili.kaijansinkko@spv.fi. Find introductions of HSS coaches here. Daily schedule may change by weather conditions, so it is recommended to bring your own meal. You can also buy lunch package from HSS Paviljong restaurant. The price for the clinic is 180€/sailor. Price includes warm meal every day at restaurant HSS Paviljong. There will be maximum 10 sailors per one coach. Clinic is part of HSS sailors trainig fee and free for juniors practising in HSS groups. If your team would like to bring along own club coach, kindly contact HSS Manager Coaching and Sail Training / Rosa Lindqvist at sailingschool@helsinkisailing.com. Registrate here (link). HSS sailors sign up by Nimenhuuto. Laser and 29er clinics are free. Lunch self cost: own food (recommended) or 12€/person/day from the restaurant. Clinics will be organized together with SPV, HSK, HSS and TaPS. Registration by e-mailing to Vili Kaijansinkko / vili.kaijansinkko@spv.fi. BS, HSK, TaPS and HSS sailors through their own coach. Buy your lunch package here (link). Entries must be received no later than June 1, 2018 to qualify for the early entry fee. Late entries must be received by June 6, 2018 and will be charged the late entry fee. The entry fee is non-refundable. Please, registrate and pay entry fee, buy lunch and/or t-shirt via Holvi webstore. Ilmoittaudu mukaan järjestämään Suomen suurinta junioripurjehdus tapahtumaa. Ilmoittaudu mukaan vapaaehtoisiin täyttämällä lomake (linkki). Helsinki is the capital and largest city of Finland. Helsinki is the seat of the region of Uusimaa in southern Finland, on the shore of the Gulf of Finland. Helsinki has a population of 642,045, an urban population of 1,231,595 and a metropolitan population of over 1,4 million, making it the most populous municipality and urban area in Finland. Helsinki is located 80 kilometres (50 mi) north of Tallinn, Estonia, 400 km (250 mi) east of Stockholm, Sweden, and 390 km (240 mi) west of Saint Petersburg, Russia. Helsinki has close historical connections with these three cities. The Helsinki metropolitan area includes the urban core of Helsinki, Espoo, Vantaa, Kauniainen, and surrounding commuter towns. It is the world’s northernmost metro area of over one million people, and the city is the northernmost capital of an EU member state. Helsinki is the third largest city in the Nordic countries, after Stockholm and Oslo. Helsinki is Finland’s major political, educational, financial, cultural, and research center. The neighboring city of Vantaa is the location of Helsinki Airport, with frequent service to various destinations in Europe and Asia. Helsinki has some of the highest standards of living of a city in the world. In 2011, Monocle ranked Helsinki the world’s most liveable city in its Liveable Cities Index. In the Economist Intelligence Unit’s 2016 Liveability Survey, Helsinki scored ninth place among 140 cities. It has long been our pleasure to welcome members of other like minded clubs into our house, and our privilege to enjoy their hospitality in turn. HSS Board is happy to establish a network of formal reciprocal arrangements with the most agreeable and dynamic yacht clubs abroad. We are open to suggestions from “matching couples” of yacht clubs with a focus on youth sailing & training, high class competitive sailing, referee exchange, classic fleets, ocean & archipelago cruising and Corinthian sailing. HSS is one of the most distinguished yacht clubs in Finland. It was founded well over 100 years ago, in 1893 and have about 1200 members. Our members represent a wide scale of the population of the Helsinki sailing society with a distinguished fleet of sailing boats from various dinghies to beautiful classic 6 and 8mR’s and modern long-distance cruisers. 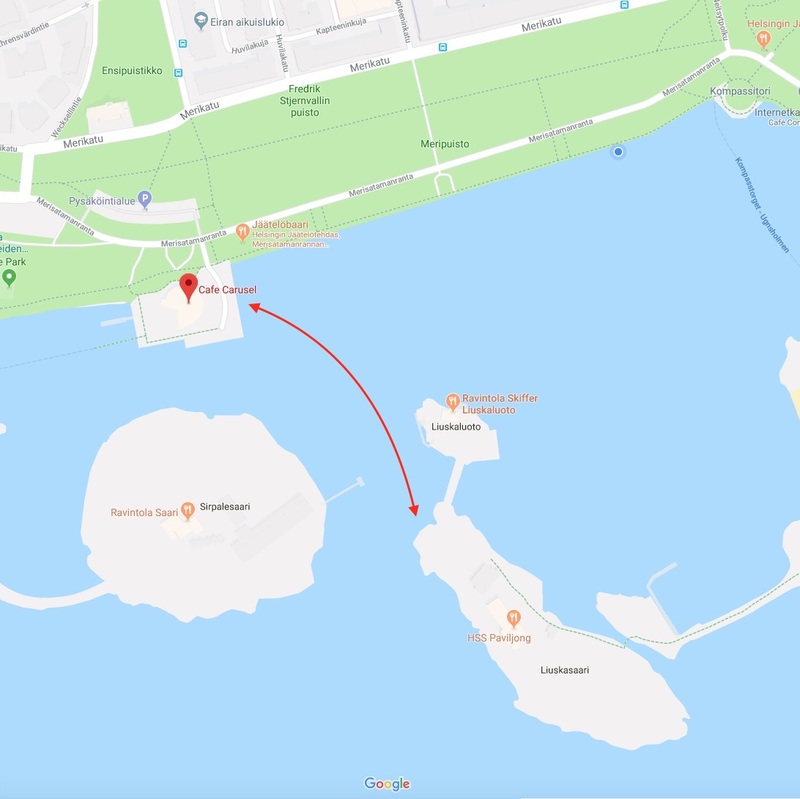 HSS is located on it´s own club island with a sheltered natural harbor at the southernmost tip of the Helsinki downtown. The island is reached in five minutes by our ferry, at a short walking distance from the City Center. Helsinki airport is reached by taxi within 30-40 minutes with flights all over the world on a daily basis. 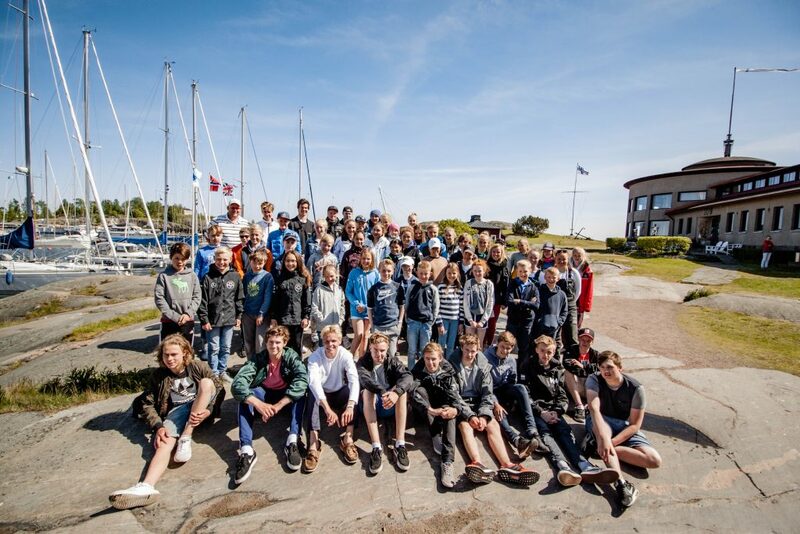 one of Finland’s leading junior yacht clubs with over 100 sailing juniors. For sailor guests there is a guest harbor with full service for twenty boats.